THE VISION of the YSAC shall be to encourage and support arts and cultural offerings in the community through program coordination, community partnership and services for artists of all arts disciplines. The mission of the Yellow Springs Arts Council (YSAC) is to honor, promote and advocate for our community’s creative spirit, strengthening its capacity to build economic prosperity and enhance quality of life. The Yellow Springs Arts Council supports local arts infrastructure through program opportunities, publicity, education, fiscal sponsorship, advocacy, and coordinated partnerships across the community. Each year the YSAC supports over 200 local creative workers. The organization began in the 1950’s as the Yellow Springs Arts Association. In 1972, it incorporated as a 501(c)3 non-profit and adopted the full name, Yellow Springs Arts Council. 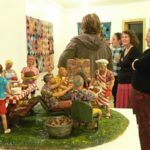 In 2008, the YSAC expanded its mission to encompass all arts disciplines and opened an administrative office in downtown Yellow Springs, followed by the launch of the YSAC Community Gallery and Multi-Arts Center. YSAC increased its arts advocacy role in 2012, which led to the Yellow Springs Village Council’s adoption of a Public Arts Policy in January 2013. Regional publicity for YSAC supported events, in partnership with the YS Chamber of Commerce, brings thousands of visitors to Yellow Springs annually for arts-related activities. The Arts Council manages three signature programs. Our Gallery Program provides exhibition opportunities and facilitated services to local artists. The gallery also hosts music and other performance genres as part of the monthly Arts Alive series. Yellow Springs Experience is our partnership and marketing program, which provides publicity and networking opportunities for artists and cultural groups. It allows exciting community projects to come to fruition through Arts Council’s fiscal sponsorship and support. 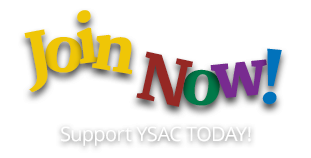 YSAC is a member organization and relies on membership dues and donations. The organization is also supported through grant writing and fundraising projects. Artists, appreciators, and supporters of all arts disciplines are welcome and encouraged to participate in the organization. Our programs are accessible to YSAC members, local citizens and visitors through free offerings and ticketed events. The Yellow Springs Arts Council strives for wide cultural participation in our efforts to meet the needs of the community. YSAC does not discriminate on the basis of age, ability, background, culture, national or ethnic origin, religion, gender, sexual orientation or economic circumstance. Through an inclusive practice, we aim to reflect our wider community and promote positive attitudes about similarities and differences with all participants and visitors.